A new year filled with new possibilities and opportunities! At the start of a new year we usually like to start making and pursuing our good intentions. Often we have already thought about the things that we want to change or do differently in the coming year. How can we help you to make these good intentions easier and much clearer? 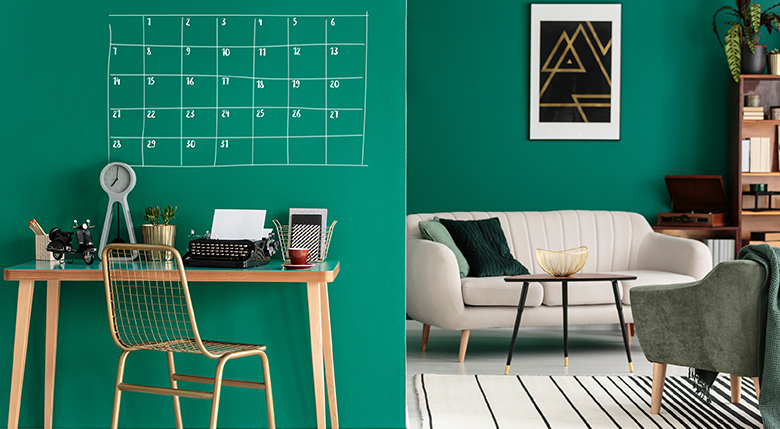 By painting a ‘calendar’ with your family, friends, roommates or colleagues with MagPaint’s SketchPaint it gives you, besides a new masterpiece on your wall, also insight into each other’s daily lives. And… how motivating is it to pursue your good intentions through a little help from your loved ones by leaving a small note or message for one another? Check the Pinterest board next for more ideas or inspiration with MagPaint’s SketchPaint. Good luck with your good intentions!